Set against the backdrop of the Great Depression, a young horse thief and his unlikely accomplice are pursued through the forbidding landscape of the BC interior. There they encounter villains, drifters and fiercely insular circus folk in a profound tale of friendship, forgiveness and finding home. June 1934: the depths of the Great Depression. Reckless with anger and spoiling for a fight, seventeen-year-old Samuel Hewitt and his Shuswap friend Charleyboy conspire to steal a prize stallion and disappear into the blistered, unforgiving terrain of British Columbia’s Thompson River Valley. The boys are looking for a fresh start—and for somewhere to belong. But what they find is a hardscrabble existence enlivened by ruthless criminals and boxcar bums ... until they come upon the denizens of a once-majestic travelling circus struggling to survive in an era in which even marvels have lost their capacity to charm. In this surreal, ramshackle environment, Samuel develops an unexpected kinship with the failing ringmaster and his enigmatic daughter. But violence and treachery are prevalent in the shadows of the Big Top, and Samuel may well find himself on the run once more. 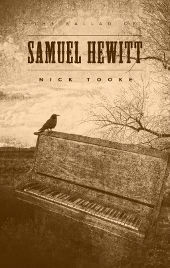 In The Ballad of Samuel Hewitt, Nick Tooke presents an uncommon coming-of-age story as well as a thoughtful examination of the meaning of home and family. The rain fell so heavy that night it hit like hail. It flattened the bunchgrass and bounced off the dust until the path that wound up to their small, pine-wood house ran like a river. Samuel had been reading The Tempest to his father when the downpour began, and he thought for a moment he’d conjured it. Water gushed out of the downspouts in columns, the eaves troughs overflowed and rain splashed off the windowsill onto the bedroom floor coining dark watermarks on the bare, wooden boards. It lasted ten minutes at the most, then just as suddenly it ceased. The sky cleared. If either one of them had anything to say about it—about anything at all—now was the time, but they did not. Samuel’s father simply turned from the window, tightrope-walked the length of a single floorboard, avoiding the cracks, climbed back into his bed and rolled toward the wall. Half an hour later Samuel stole out of the house with his saddlebags packed. The resiny scent of sagebrush clung like pitch to his clothes and skin. When he reached the barn he slipped inside and felt for the electric light. Ignatius nickered in the dark. The single bulb above the hayloft hummed and flickered when he hit the switch. It burned bright for no more than a few seconds before it flickered again and died. Samuel threw open the doors, led Ignatius from his stall and began to saddle him in the barn bay, the shine on the leather and the steel bit glowing muted and blue in the moonlight. The dog had followed him down from the house and stood hopefully in the open doorway. ‘Not this time, Spud,’ whispered Samuel. He buckled the cinch-strap round the gelding’s belly, waited for the horse to exhale, then tightened it. ‘Somebody’s got to pay the bills. You look after the old man,’ he said, tucking the loose end behind the buckle. Spud wagged his tail when Samuel spoke. The dog raised its ears, its head tilted slightly to one side. Samuel passed the reins over the horse’s head, slid his foot into the stirrup and stood up into the saddle. The doorway framed the rising moon and the rim of the valley, the dog in silhouette beside the jamb. ‘You stay here,’ he said. The dog would not look at him. After a while he sat down. ‘Good boy,’ said Samuel. He clucked the horse forward and rode out. Samuel passed beneath his father’s bedroom window and did not stop. Did not glance up to see his father standing there, folded into shadow. The rain had not yet soaked into the clay, and in that second sky Robert Hewitt watched the moon in pools of standing water roil and disband beneath the horse’s hooves, then wobble and perfect again after his son had moved on. He saw the grey, weathered house engulfed in stars, and his forlorn image windowed away like a lost penitent. 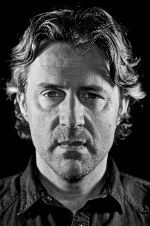 Nick Tooke was born in the UK, emigrated to Vancouver Island in 1982, and has since lived in Vancouver, Montreal, Tucson, Edmonton, Toronto and Niagara on the Lake—in that order. He now lives in Cayuga, Ontario, with his wife and daughter. 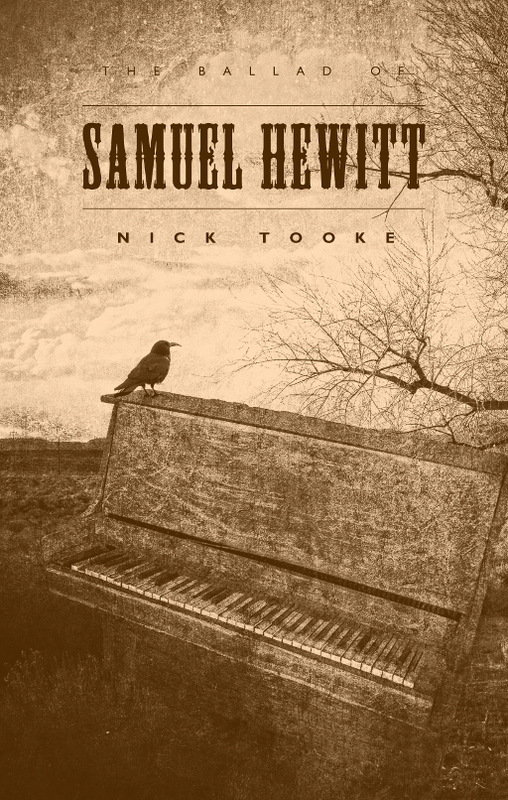 The Ballad of Samuel Hewitt is his first novel.